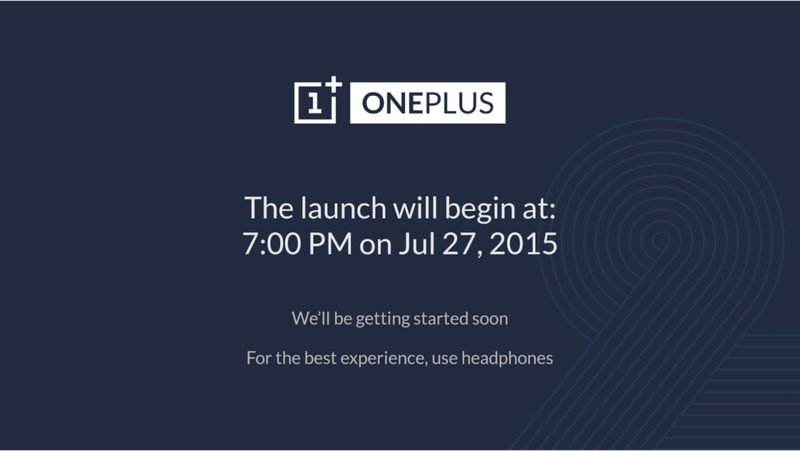 Monday night, OnePlus is scheduled to announce their second flagship, the OnePlus 2. Which they have been hyping for a few weeks now. They’ve also been announcing different features of the device. So currently, we know it has a Snapdragon 810 processor, a USB Type-C connector, a fingerprint reader as well as a 13MP camera. We also know that the phone is going to cost under $450. The rest shall be revealed at their launch event on Monday around 10pm EST/7pm PST. OnePlus decided to do something a bit different this time around, for their launch event. Instead of having a normal event where you have a ton of media piled into an auditorium and talk to them for an hour or two about the new device. They are doing the launch in virtual reality. So its users and fans can experience the launch in VR. Which is pretty cool, especially with everyone going all in with virtual reality lately. In fact, YouTube is even going to be supporting 360-degree video before the end of the year. OnePlus had been shipping out cardboard that fit their OnePlus One device to their fans, so they can be a part of the launch event. Those shipped in the past couple of weeks. Now the official launch app has hit the Google Play Store. If you are planning to watch the OnePlus 2 launch event in VR, you’re going to need this app from Google Play, it’s free. OnePlus says that for the best experience, it’s going to be good to use a pair of headphones for this virtual reality. The app is compatible with Android 4.1 and up, so it should work with the majority of the Android devices out there right now. So far we don’t know when the OnePlus 2 is going to be available for purchase. However, we do know that the invite system will still be around. We’ll be sure to keep everyone up to date with everything OnePlus. The OnePlus 2 looks to be a serious contender out there for the Galaxy S6 and LG G4, possibly even the Galaxy Note 5, depending on the size of the device. The post OnePlus Launches the OnePlus 2 Launch App in Google Play appeared first on AndroidHeadlines.com |.